Angélica Rivera has had enough. The ex-first lady will soon be the ex-esposa. 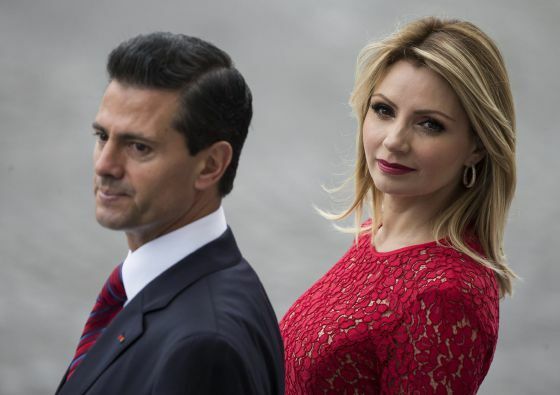 Former first lady and telenovela actress Angélica Rivera has announced via Instagram her decision to (finally) divorce ex-president Enrique Peña Nieto. The news comes after more than a year of rumors about their rocky relationship and a week after compromising photos of Enrique Peña Nieto in Spain with Mexican model Tania Ruiz Eichelmann were published in a society magazine. I deeply regret this situation, which is so painful for me and my children. For this reason, I have decided to seek a divorce. I have always lovingly given my husband my time and effort, in order to fulfill my role as wife, partner, and mother. Now, all of my energy, strength, and love are focused on being a good mother to my children, and on restoring my life and my professional career. I appreciate your respect at this time, to maintain the emotional tranquility my children deserve." Peña Nieto left office with record-low approval ratings; looks like he'll be exiting his marriage the same way.